A couple of weeks ago, I shared some tips, tricks, and how-tos for the perfect block party and also shared a printable invitation that you could use. 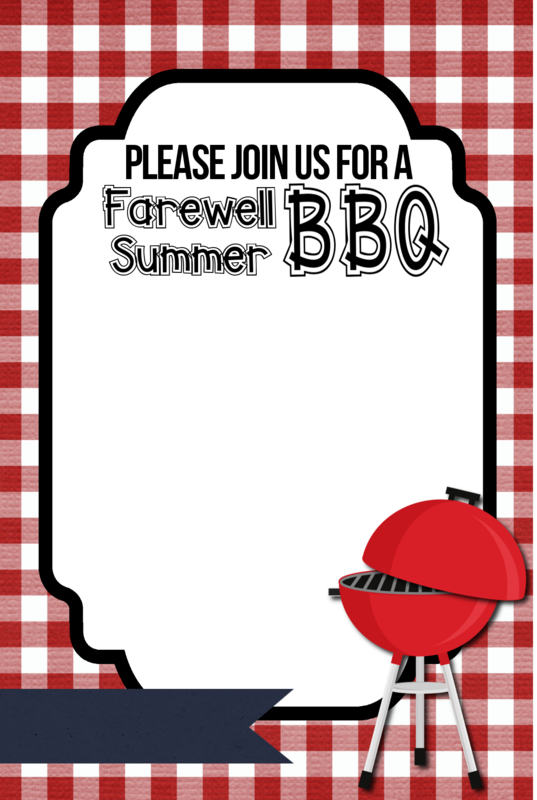 And, in case you missed it last week, I shared this additional printable invitation that you could also use for a block party, a end of summer farewell, or a back to school kickoff. The best part? They’re so easy and simple to personalize! I just love having a celebration at the end of summer – and it’s always a more low key, less stress event. Just some good friends, good food, and lots of fun! Who doesn’t love hanging around outside and eating some fresh grilled food with friends, right? We love to throw out lawn games for the kids (and adults) and ask everyone to bring along any other games they may have, along with some extra lawn chairs. Anyone else in the mood for a BBQ now? Isn’t it crazy how fast the summer is flying by? Speaking of time flying by, it’s been a whole year since I started sharing fun printables over at Organize & Decorate Everything! Here’s a look back at my very first post over there, which is perfect for those of you getting ready for back to school – this Back to School Lunch Planner. And if you’re in Back to School Mode, check out these 40 Back To School Organization Ideas and this Back to School Countdown! Enjoy the rest of summer folks – we still have four weeks and I plan to use up every last drop of it. How much summer is left for you? !